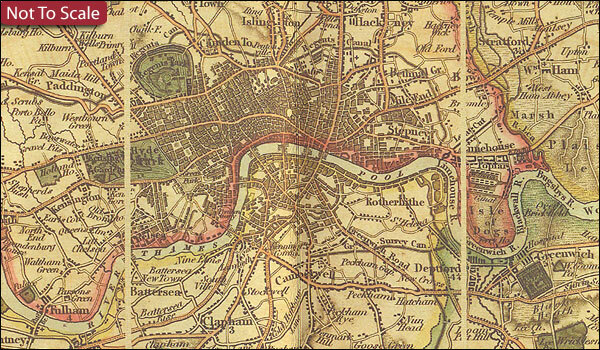 Cloth-backed, small size version of a reproduction by Old Folding Maps of Cruchley's “12 Miles Round London” map published in 1826. 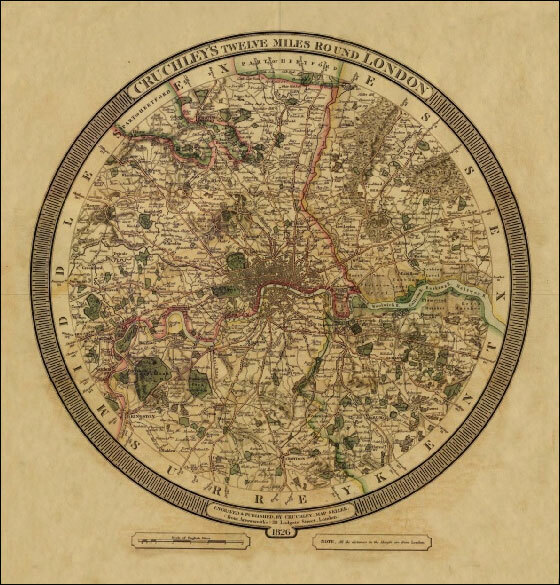 The map stands out from the large selection of historical mapping of the capital by presenting it exactly as indicated in the title – on a circular map extending within a 12-mile radius from Charing Cross, the traditional centre of London. Coverage extends to, roughly: Waltham Abbey, Dagenham, Chislehurst, Addington, Cheam, Kingston-on-Thames, Northolt and Elstree. Hachures show the topography of the area and colouring indicates parks. Also marked are the boundaries of the four counties, Essex, Kent, Surry and Middlesex, with part of Hertfordshire. 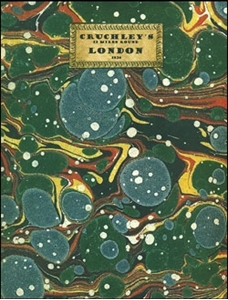 Each individual map is cloth-backed and presented folded in a colourful case covered with a unique design marbled paper – no two cases are identical. PLEASE NOTE: this title is also available in a smaller size. To see the list of all the titles in this series from the Old Folding Maps please click on the series link.